You normally see Hoglets in May, June or July, when the first litters are generally born, and in August-September, when the second litters are often born, although we do see them throughout the year when the weather is mild. The last few weeks have been extremely busy not only with abandoned baby hedgehogs or hoglets as they are called being found but also some of the injured hedgehogs giving birth at the GSPCA. On the 8th May three young hoglets were found abandoned by their mum in the Vale area. 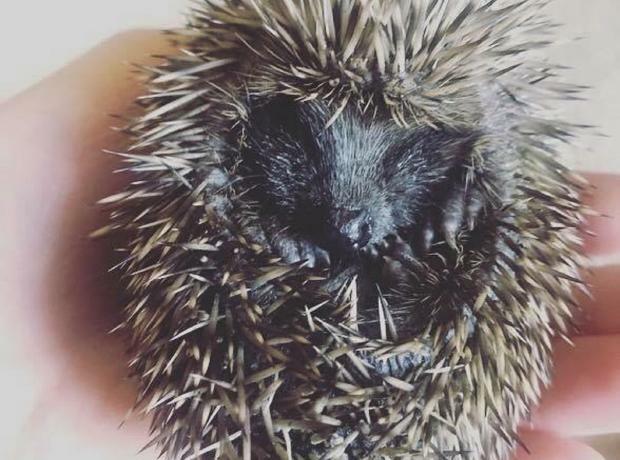 At only a couple of weeks of age and barely able to walk or see the baby hedgehogs were rescued by one of our Volunteer Wardens and brought into the GSPCA. When they arrived the GSPCA team worked quickly to warm them up and feed them. For the last two weeks the team have been looking after them around the clock bottle feeding and caring for them in an intensive care unit. Each day they grow stronger and we will hopefully soon have them feeding on solids. On Tuesday a very poorly baby hedgehog or hoglet was brought into the GSPCA. At only 3 to 4 weeks of age 'Diddy' as she's been named was covered in mange, very thin and also full of fly eggs and tiny maggots. On arrival GSPCA staff Sarah Ozanne and Geoff George were on hand to help care for and clean off the fly eggs and maggots. 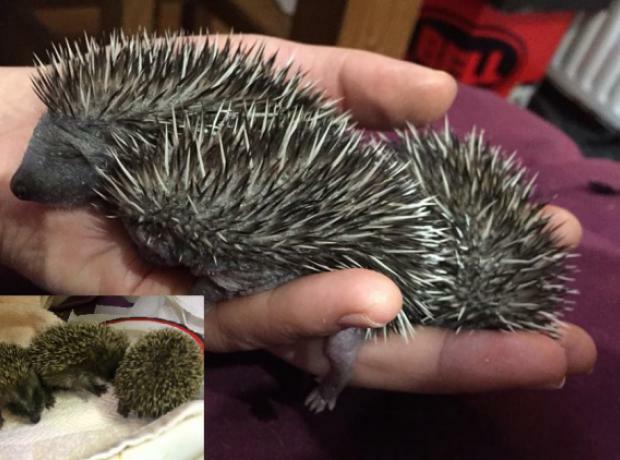 For the first few days the tiny hoglet was very weak and was taken home by Sarah to care for around the clock. Nearly a week on and we are pleased to say that Diddy is doing well and growing stronger each day. Every year hundreds of hedgehogs are rescued and cared for at the GSPCA in Guernsey. Last September as the summer ended and autumn was setting in a 26g baby hoglet was found, rescued and brought into the GSPCA. Wee Billy when he was rescued was tiny and really needed his mum as he relied on being milk fed and toileted. Thanks to the team at the Animal Shelter Wee Billy received around the clock care in an intensive care unit and its wasn't long before we saw the weight gain and growth. 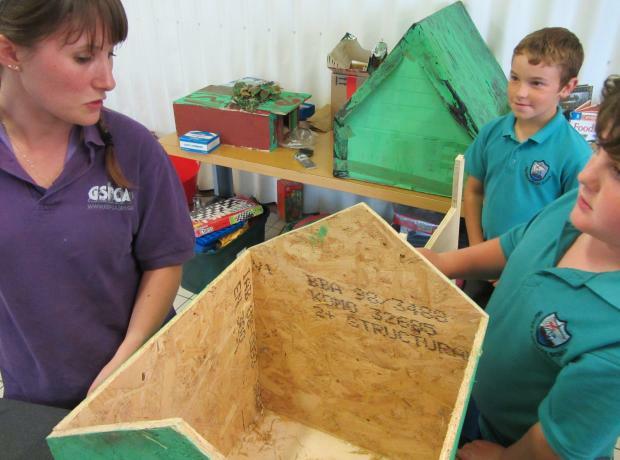 Earlier this year Sarah Ozanne and Lucy Ogier (Animal Care Assistants at the GSPCA) organised a competition to increase awareness of Hedgehogs in Guernsey. There were two classes - creating a 'Hedgehog Awareness Poster' and 'Build a Hedgehog House'. We were amazed by the response and had some fantastic entries. 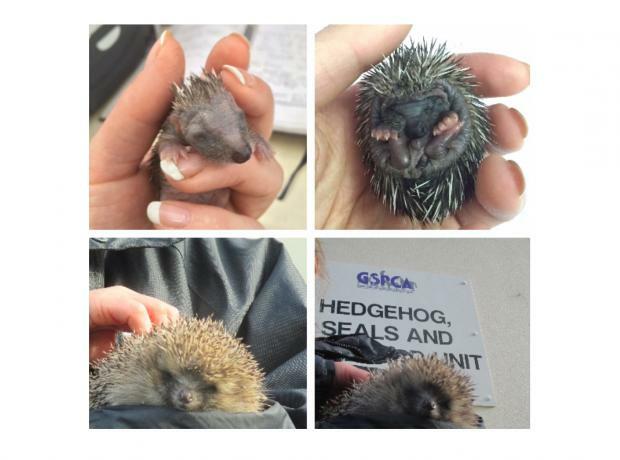 At the GSPCA we have started to see the another round of Hoglets (baby hedgehogs) being found and rescued in Guernsey. During April and May we had a number of Hoglets rescued and also mothers that gave birth on site, many of which are already back in the wild. On Friday the 11th July and Friday the 18th July the GSPCA had two fantastic happy endings. The first starts on the 3rd May this year when an unwell hedgehog was brought into the GSPCA that had been out in the day. With a few health issues on entry the female hedgehog named Brie gave birth to Edam, Feta and Babybell only days after arriving. After weeks of care the mother and her babies which were found in St Peter Port were released very close to where they were found in a safe area. On Friday we saw the close of our Hedgehog Awareness Competition entries close and we have had so many fantastic posters and photos of hedgehog homes. The team will be short listing the finalists this week but every day the GSPCA have been seeing sick, injured and young hedgehogs. 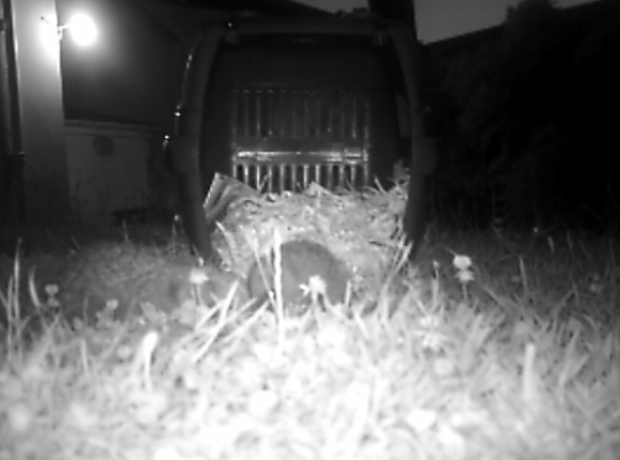 From strimmer injuries to hoglets (baby hedgehogs) found with no mother the GSPCA have been experiencing a busy Spring with hedgehogs as well as other species.